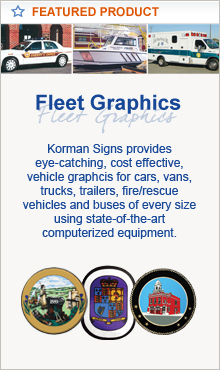 Logo Signs - Korman Signs, Inc. 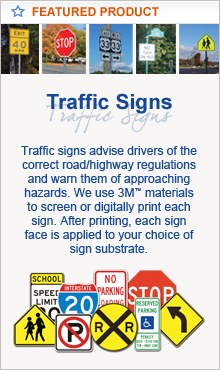 Provide motorists with information on nearby travel services with our interstate logo signs. We offer logo signs to restaurants, hotels, gas stations, or local and historical attractions to appear on "food", "gas", "attractions" and "lodging" exit signs in compliance with state specifications. Mainline signs are displayed along the interstate whereas, ramp signs are generally smaller and posted on the off-ramp. Trailblazers are added for locations away from the interstate. 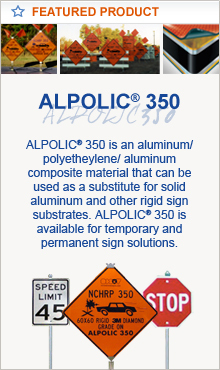 Logo sign specifications vary from state to state. 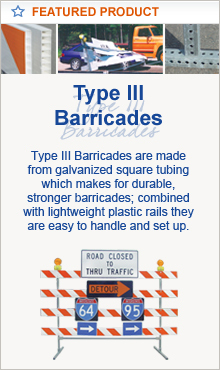 Sign design and artwork must be submitted but the state before the order is processed. 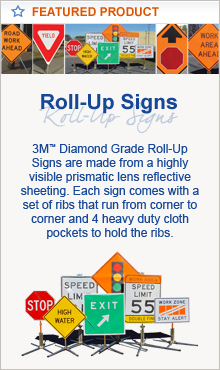 Please specify the state where the sign will be displayed when ordering. Additional logo sign designs not pictured here are available upon request. 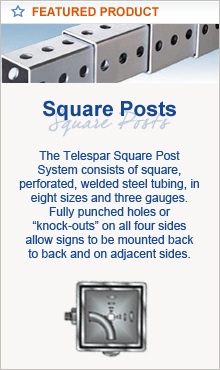 Our customer service representatives will gladly provide more information on your options - Email Us or call (800) 296-6050.